sturdy, attractive, and different from the 15 other bags everyone already owns. Nice details - rope handles and button closure. Our volunteers loved it. the participants at my conference were impressed with this product. Great product quality and printing. This is a great promotional and practical tote bag! We love the colors--and ordered all 4 colors (pink, blue, lime, orange). 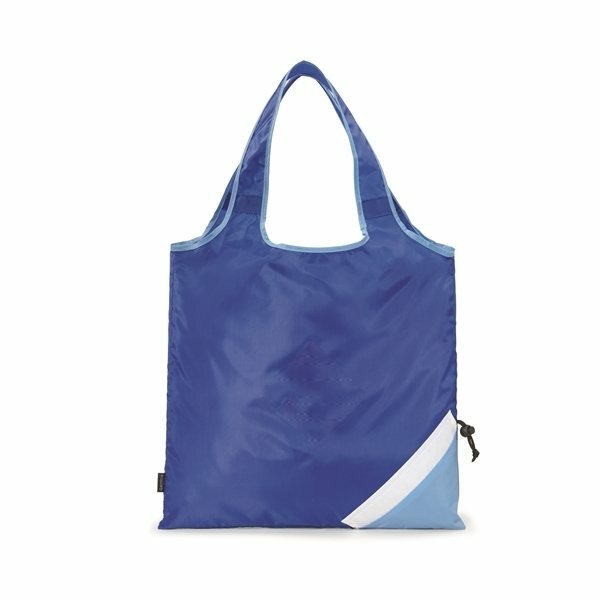 It is lightweight, folds in a pouch, roomy, waterproof (I believe) and perfect size for the grocery store, swimming pool, picnic, family outing and a fantastic way to market your company! All our staff loved these! Good price, quality and arrived on time.